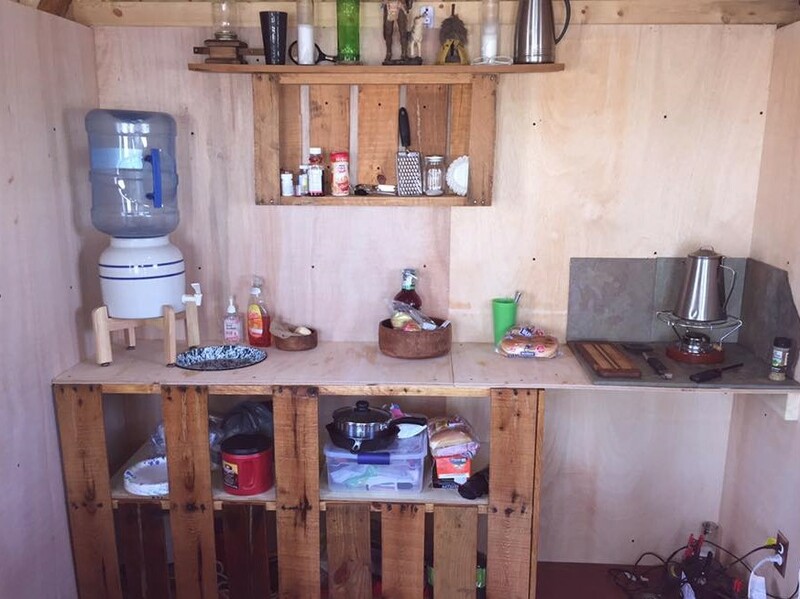 Hello, you may have, by now, seen some of our previous blog posts or viewed one of our YouTube videos about Our Tiny Cabin Project. If so, you may know a little bit about who we are and if not... I will tell the whole story. Our names are Charles Mooneyham and Jonathon Ross-Mooneyham. We are a gay couple who meet and live in the Saint Louis Missouri area. We've been together for almost 10 years and celebrated our 1 year anniversary, legally married on November 11th, 2014. I would like to think of our life together as a true love story with a Tiny twist! That twist being our new found love for tiny house living and everything that comes along with the life style. About a year ago, Charles and I were watching some DIY videos on You Tube when we stumbled upon the first tiny house video. It was one of Tiny House Giant Journey walk through tiny house tours. Within the first few seconds, we were captivated at what we were seeing before us. The idea of the design and convenience of a whole House crammed into a space less than 200 square feet was just mind blowing. We knew instantly that it was right for us, there was something amazing about the whole idea. Before we knew it, we had watched about 20 of these videos, keeping us up way past our bed time! Now Charles has always been a go-getter. When he sets his thoughts on something, he finds a way to get it and it usually rather quickly. The following days after watching these videos, we talked about the idea of buying some land somewhere and building a tiny cabin. We didn't really know how we would do it, only that we wanted to. After a few days, while I was at work, he txted me to say that he had found some property in the Ozarks. Apparently the guy was selling cheap and by the lot. I gave the Charles the thumbs up and we were at the property and signing the deeds the next day. With in 3 weeks, we found a company that builds pre-fab sheds and tiny houses. Because of finances, we decided to go with a small unfinished, barn style building. We had it delivered up to the property and our dreams had become a reality. The moment the building touched ground, was leveled on to the side of a mountain that over looked the vast and beautiful mark twain forest, we knew we had the start of our own giant journey. 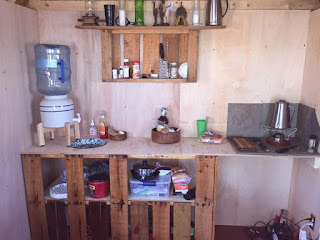 Ever sense that day, we have traveled out of the city to our tiny cabin to finishing it, hence the name, Our tiny cabin project. So far, we have finished the interior walls, installed cherry wood floors, built a kitchen counter top, installed solar panels with a battery bank, put up lighting, extended the loft for added space, and hung our favorite Deek Diedricksen painting. We've never done this before so we are coming up with ideas as we go. As we work to finish this small space we strive to make it a beautiful, functional vacation home. Every time we go, we do something new and post all of the up-dates on our YouTube channel and to this blog. We have decided, through this journey that, within the next five years, to try to purchase a tumbleweed tiny home, travel and become full time off gridders. We also plan on building other small cabins, and awesome shacks, on our property. With the hopes that the tiny lifestyle will afford us the ability to one take early retirement, so we can enjoy life while were still young. Our passion for this just keeps growing! Please make sure to like this page, subscribe to our YouTube, shoot us an email and follow us for more tiny house adventures! You guys have such great spirits, I think you should tour tiny houses all over the country. We could certainly use you here in Vermont. I'm preparing to build my own tiny house this summer. I'm so excited! Cheers! Sorry for the late reply, that is great news, congrats on starting your own tiny house adventure! 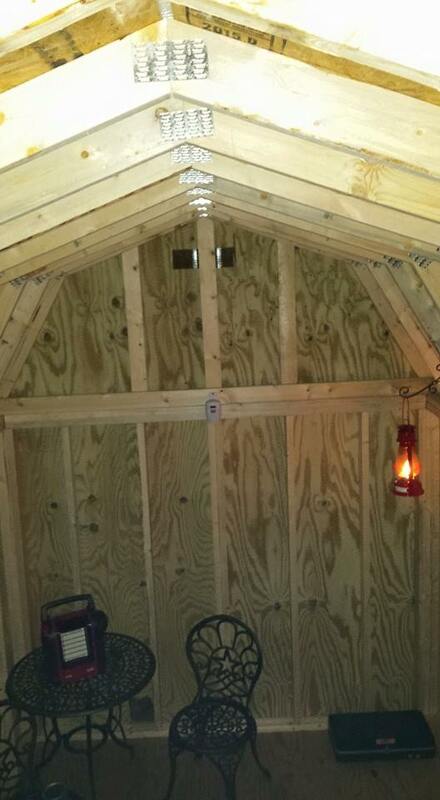 Feel free to post photos of your progress on our facebook page, Our tiny Cabin Project.